I think it’s important that CEOs spend time with their customers. At PensionBee, customers are like the North Star. We listen to their needs to deliver a pension they will love, a pension they will love to save for and, ultimately, a pension they will love to withdraw. So what better way to stay in touch with our customers and their perspectives than to spend a week on the front line with our BeeKeepers and Nectar Collectors, resolving problems and generally being helpful? Here are the top things I learned from my week supporting PensionBee customers. It may seem obvious but the reason PensionBee exists is to make pensions simple for our customers. So from explaining what we do and our plan choices, to helping a customer set up a contribution, helping customers feels good! It’s important that businesses exist for a purpose beyond profit and serving customers will quickly connect you to that purpose – while bringing a smile to your face. One thing that struck me is how much scope there is for improving the customer experience. I often found myself answering questions that in MY mind were obvious, but in the customer’s perception clearly required further information. Does everyone know that to generate an electronic signature, one must sign with a cursor or a finger? No, they don’t and we can make it clearer. Businesses often have blinkers on. Talking to customers helps take them off. In an age where the robots are feared, it was enlightening how much our customers loved speaking with a real human. While we can automate things like livechat security screening or very basic customer support answers, we can’t automate the human touch. 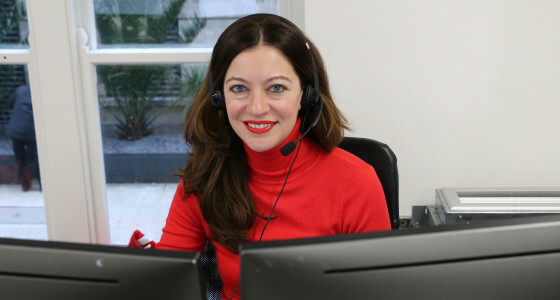 Customer support should be human and absolutely top class to meet customer expectations. Oftentimes all our customers needed was a little help understanding pensions. How does tax relief work? Is it different for employer contributions? These are basic things the industry takes for granted and has overcomplicated for consumers. This is why it’s so important to take a stand, to fight the fight of making pensions simple so people can look forward to a happy retirement. At PensionBee we are proud to be doing this every single day! Thank you to our customers for letting us help.